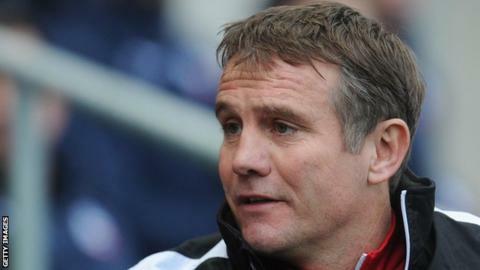 Bolton manager Phil Parkinson says news the club have not paid staff February's wages does not help preparations for their relegation run-in. It is the latest financial problem for the club, who are due in the High Court on 20 March to face a winding-up petition by Revenue and Customs. Both players and non-playing staff have not been paid wages for this month. "From my own point of view it really frustrates me," Parkinson said ahead of Bolton's game against Swansea City. "When I came in this morning, and we organised everything we had to do for the preparation, half the talk is about the wages and the club. "You try not to let it detract but it does because that's what everyone wants to talk about. "It's not just myself and the players, it's the kitman or the people who look after the pitches for us, the chef and everybody. "They're concerned because mortgages come out today or tomorrow and that is a worry for people." Last July players refused to participate in a pre-season friendly because of unpaid wages and bonuses. Former owner Eddie Davies also loaned Bolton £5m before he died in September, to help them avoid administration. On Sunday, Bolton said an "agreement in principle" had been reached for owner Ken Anderson to sell the Championship club. BBC Sport has learned the consortium is led by businessman Parminder Basran, alongside businesswoman Sharon Brittan and entrepreneur Jeff Thomas. Another tumultuous week has also seen the club and Parkinson charged over an on-pitch fracas at Leeds United during their 2-1 loss at Elland Road on Saturday. What's behind the Bolton fans' protest?